Just came from Oslob, Cebu and was still amazed then by the fact that finally I was able to swim with the "Butanding" or whale sharks. I headed-off to my next destination. It's Day 3 of my Summer 2013 tour and I'm going to MOALBOAL! My trip to Moalboal was very timely since the national beach volleyball competion was being held then in Moalboal and I was given the opportunity to be a spectator in one of my favorite sports. From Cebu City, you have to go to South Bus Terminal and head off to Liloan Port. The trip is 3 - 3.5 hours (99 kilometers) from Cebu City. You will alight at Moalboal, not in Liloan. There is a direct trip at Librando Bus Terminal near E-mall at Cebu City. From Dumaguete, you have to go to Sibulan Port (20 minutes from the City) and ride a fastcraft (worth P62.00) to Santander (20 minutes). From the port of Santander, ride a tricycle (P10.00) towards the main highway. Then, in the highway, flag down a bus going to Bato (Fare is P60.00 ordinary bus). From Bato, ride a Ceres bus to Cebu. The trip is almost an hour and alight at Moalboal. I came from Oslob and I took the second option. From Oslob, I boarded a bus to Bato and then, Bato to Cebu and I alighted at Moalboal. Reaching Moalboal bus stop (near the Moalboal church), you have the option to choose either a tricycle ride worth P200.00 for 4-5 pax or ride a habal-habal worth P100.00. I chose the habal-habal. But I hired the habal-habal for P200.00 as my return trip to the town with the condition that he has to give me 2 hours in the beach. The driver agreed. The trip towards the beach is more or less 15 - 20 minutes. After 20 minutes, I reached the Moalboal Beach. Moalboal is known for its white-sand beach and one of the best diving spots in the Philippines.It is even referred to by the locals as the Boracay of Cebu. 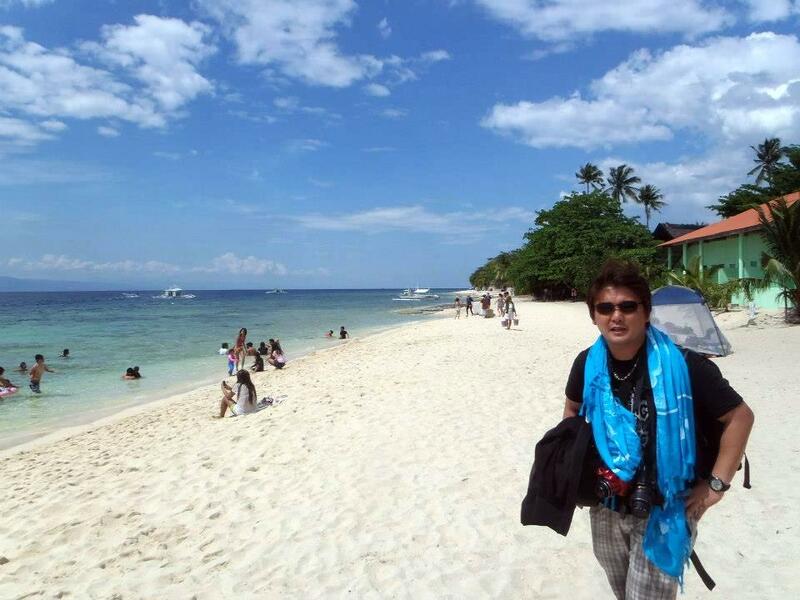 There are many beach spots in Moalboal. But the best spot is Basdaku White Beach. I took some pictures and videos of the spot and stayed for 2 hours to wander and rest. I watched the national beach volleyball competition while I was in Moalboal. And there was this local "banca" (boat) race among the locals which was hosted by the local government. In the span of two hours, I enjoyed Moalboal. I'd love to stay for the night but I had to go to Cebu City for my next stop - Olango Island. It's More Fun in Moalboal! how much did you pay for the bus fare from Bato to Moalboal?